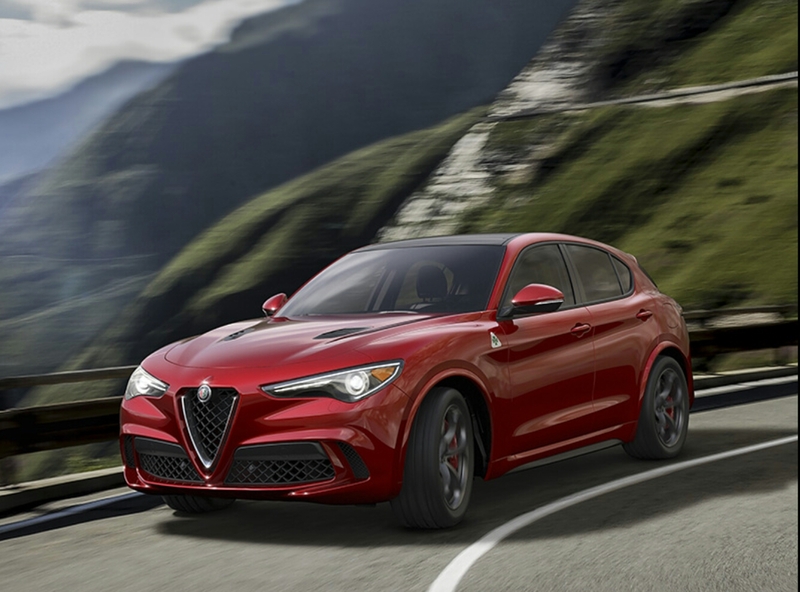 Introducing the Alfa Romeo Stelvio Quadrifoglio SUV. 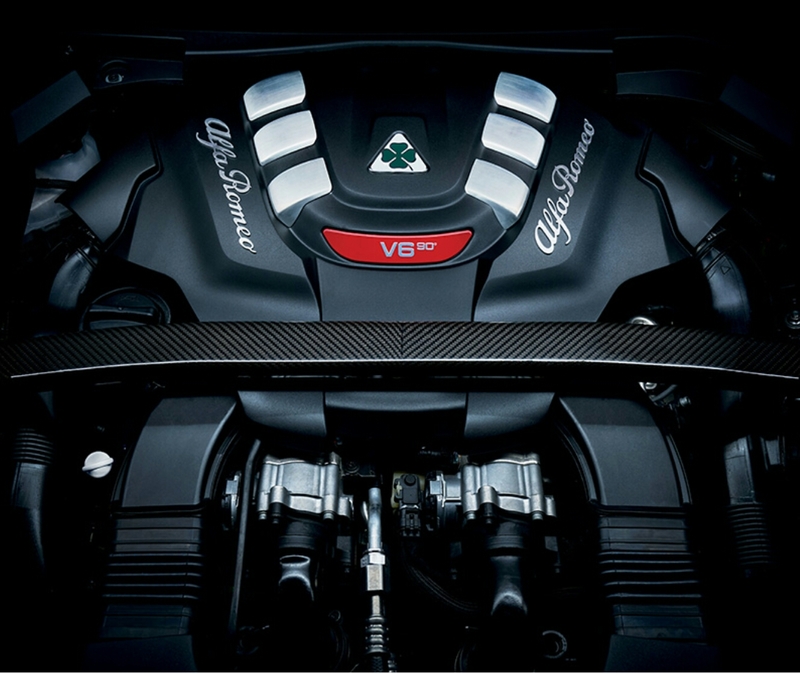 Born from carbon fiber and aluminum, Alfa Romeo has created an SUV like no other! 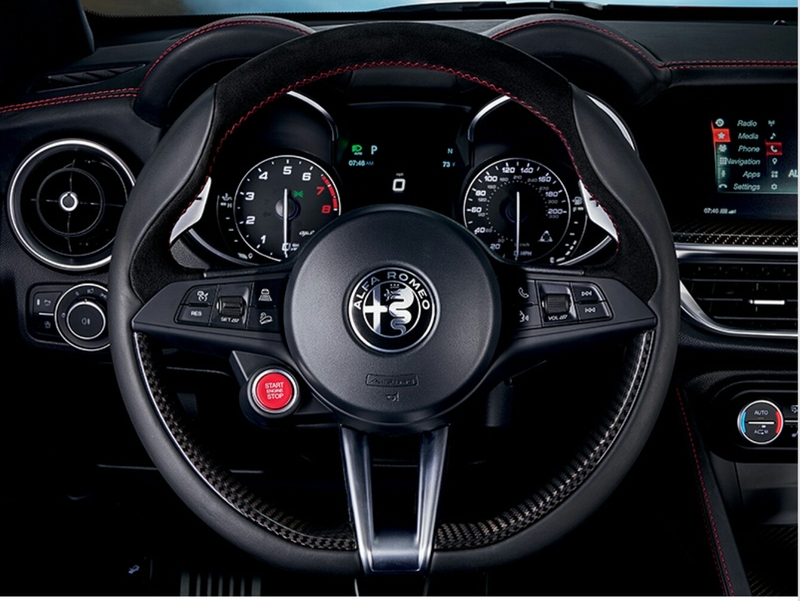 Boasting 505hp shifting thru an 8-speed automatic via the steering column-mounted paddle shifters. AR is taking jabs at the Porsche Macan Turbo, posotioning itself between the X4 M40i and the X6M, the Jag F-Pace First Edition and whatever Mercedes AMG GL variant SUV that is comparably sized thats in the market today. With AR, it’s all in the details…RACE d.n.a. DNA in reference to their drive modes. 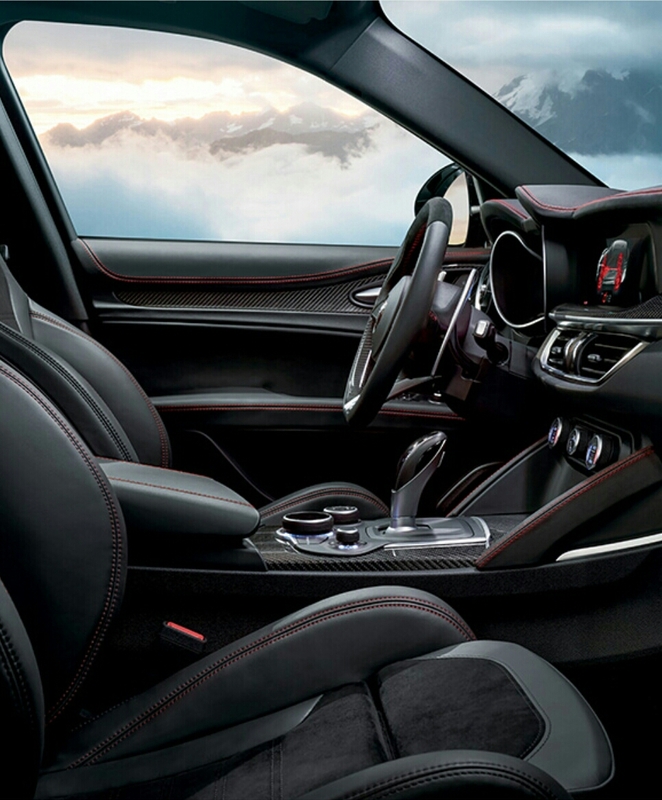 Dynamic, Natural, and Advanced Efficiency. Oh, those seats and that carbon weave! Mmmmm! 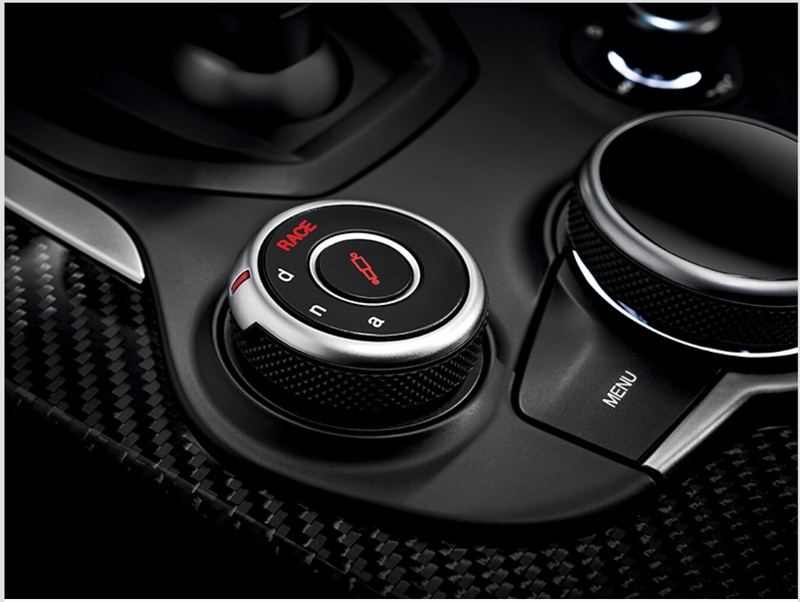 Love the location of the start/stop button. I’ll be looking for you at the Los Angeles International Auto Show this upcoming week!